When shopping for sustainable paper supplies, facility cleaning managers are likely to encounter the following terminology. Becoming familiar with the lingo can help them make informed purchasing decisions. Chlorine free. Paper that is manufactured without the use of chlorine or chlorine derivatives. “Chlorine can have an adverse impact on human health — not just during the manufacturing process but when shipped around the country,” notes Case. There are two types of chlorine-free paper products: Processed chlorine free (PCF) and totally chlorine free (TCF). Closed loop. This term describes the process of collecting post-consumer waste and recycling it to make new products. Also known as cradle to cradle. Coreless. Toilet tissue that does not have a cardboard core, thereby eliminating waste. Forest Stewardship Council (FSC). FSC is an independent, non-profit organization established to promote the responsible management of the world’s forests. The organization certifies forests and supply chains to ensure that they are being managed in an environmentally responsible manner. This covers not only the protection of trees, but also rivers and streams, wildlife corridors, and endangered plants and animal species. FSC also ensures that local communities are respected and workers are properly paid. FSC controlled wood. This wood is not FSC-certified, but is of known origin with a minimum risk that it is harvested in an unacceptable way. Green-e. A program of the nonprofit Center for Resource Solutions, Green-e offers certification for the use of renewable energy. Green Seal. A third-party certification organization that establishes standards for the manufacture, purchase, and use of environmentally responsible products and services. The GS-1 Sanitary Paper Products standard sets environmental, health, and social requirements for sanitary paper products, including toilet tissue, facial tissue and paper towels. Harvesting. This is the process of cutting down trees and delivering them to a mill. The FSC standard covers acceptable harvesting practices, which include minimizing the size of clear cuts and protecting water streams. Post-consumer material. Material that has reached the end of its effective life cycle as a consumer product and is recovered from the waste stream to be recycled into new products. Product life cycle. The product life cycle traces the environmental impacts of a product from its conception and design through to its ultimate disposal. This includes raw materials, manufacturing processes, transportation and recycling or disposal of the product. Program for the Endorsement of Forest Certification (PEFC). An international, non-profit organization that promotes sustainable forest management through third-party certification. Like FSC, PEFC sets standards for environmentally appropriate, socially beneficial and economically viable management of forests. The organization also offers Chain of Custody certification to ensure that wood and wood fiber in the product can be traced back to certified forests. Raw materials. Materials in their natural state used as input to manufacture finished products. Recycled towel and tissue. Products that are made from recycled material. There are two types of recycled material: post-consumer and post-industrial. (See definitions above). The GS-1 standard calls for 100 percent recovered material. Of that 100 percent recovered material, paper products must also have post-consumer content: 50 percent for paper towels, 25 percent for toilet tissue, and 15 percent for facial tissue. UL Environment. A division of Underwriters Laboratories, UL Environment develops environmental and sustainability standards for a wide range of building products, consumer products and organizations. Toilet tissue and towel products are certified under UL-175: Standard for Sustainability for Sanitary Paper Products. UL acquired the EcoLogo certification program in 2010. Virgin Fiber. Fiber that is derived directly from trees and other plants and is not of recovered or post-consumer origin. Facility cleaning managers who have a handle on green and sustainable paper terminology are in a better position to make informed purchasing decisions that support their sustainable initiatives. And while green logos look good on paper — literally — buyers also need to factor in the product’s performance and quality. 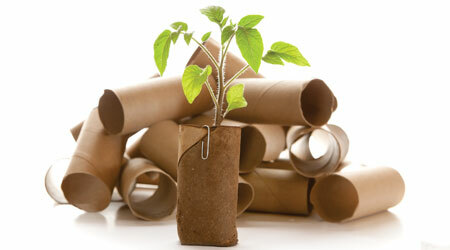 Similarly, size can play a significant role in reducing paper consumption, particularly when it comes to paper towels. 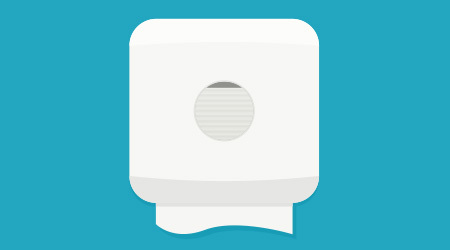 He adds that switching from a single-roll toilet tissue dispenser to a multi-roll dispenser can eliminate waste, because paper is more likely to be used all the way to the core before being replaced. With these considerations in mind, facility cleaning managers will be better equipped to select paper products and dispensers that reinforce their commitment to green.